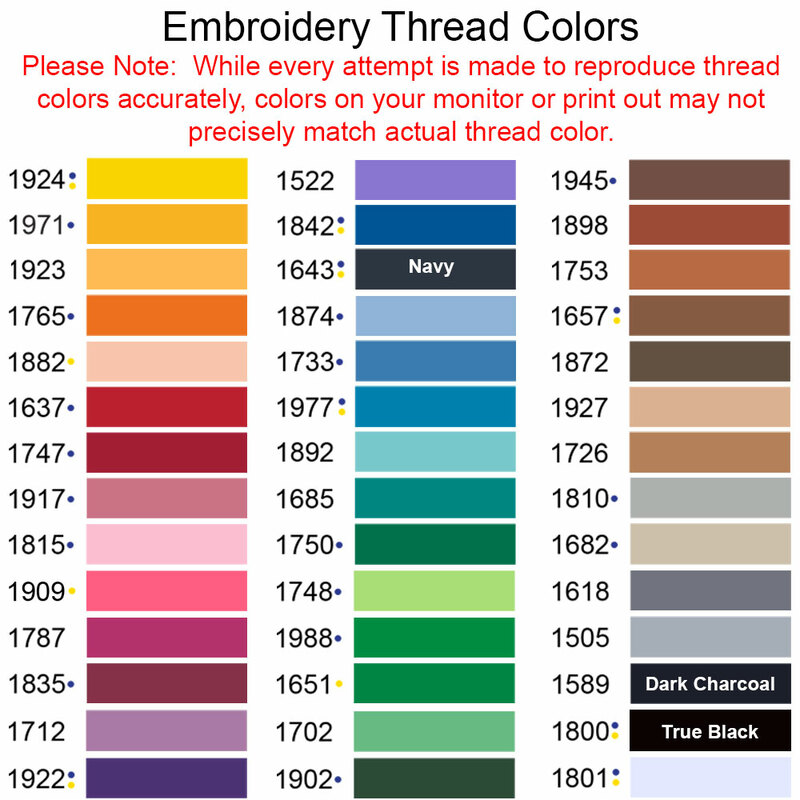 Choose your hat color and get creative! 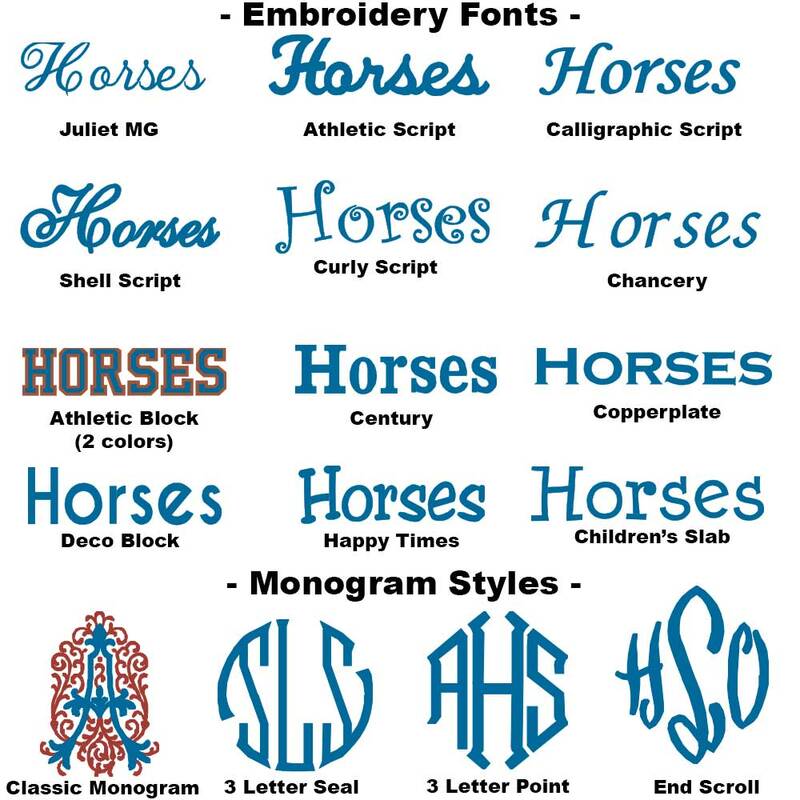 Select from our clip art and font libraries or submit your own art file to us to create a totally custom piece of clothing! The sky is the limit - All image and fonts colors are customizable! 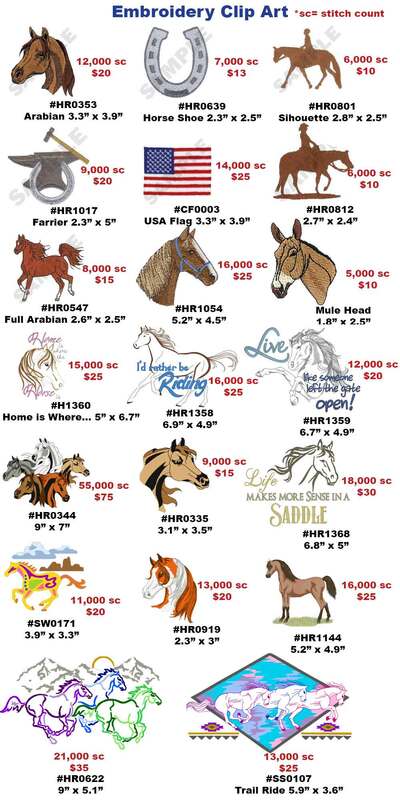 Add your name or your horses name to any piece of art! If you don't see what your looking for make sure to give us a call-we have hundreds of images to choose from!